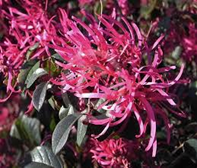 Charming layered structure of deep reddish/purple foliage with a dense, spreading habit and vibrant, lolly pink, tassel-like flowers. Flowering throughout spring but spot flowers throughout the year. Evergreen. Long flowering period. Hardy. Frost tolerant once established. 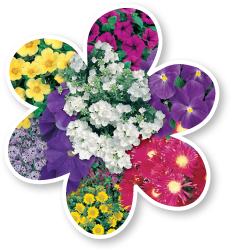 Great for borders, gardens, containers, rockeries and mass planting. Height 2m and width to 1.5m.